With only a few weeks left of summer, it is time to start thinking about what you will do with your kids who are going to be starting school soon. Young kids are fun, but you always are concerned you are not doing enough to give them the best of everything. 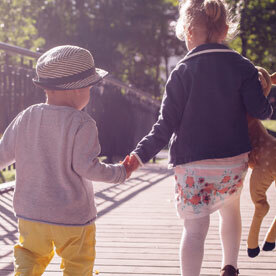 As your little ones start to grow, you want to be sure they are in a child care center that helps them prepare for their future years in school. 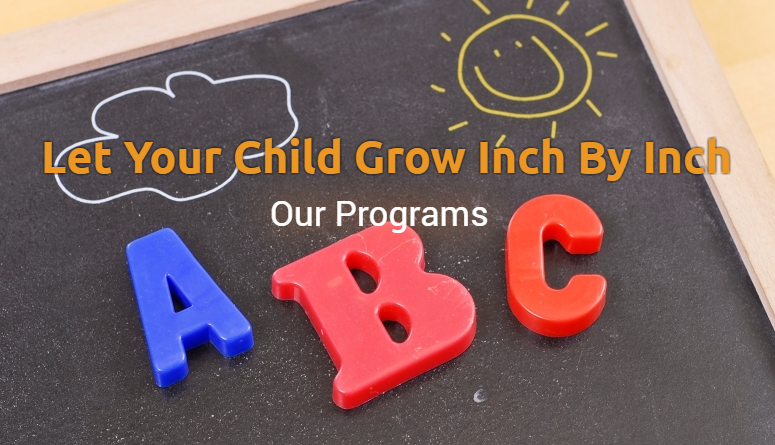 At Inch By Inch Child Care, we offer many different child care programs—from infants to pre-kindergarten, as well as before and after school programs and summer camp. From the time your child start at our child care center, they will get the best education and care that will help them develop motor skills, social skills, and learn other important lessons. This is a great child care center for your young children before they go off to start grade school. But before we get ahead of ourselves, make the rest of this summer special and spend quality time with your children. 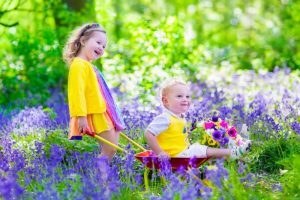 In our last blog we discussed different places to take your children to keep them entertained throughout the summer. But as we all know too well, and if you have multiple children you know this better than anyone—school supplies can get expensive. So in this blog we are going to go over fun activities to do at home that will save your some money and allow you to enjoy the last bits of summer! You aren’t going to want to spend a bunch of time in the hot summer sun, unless of course you know how to beat the heat. There are many ways to do this, and your children are sure to have fun and hopefully cherish these memories for years. Water is always a good way to cool off. If you have one of those small plastic kiddy pools, fill it with water and let your kiddos splash around as you read to them, pass a ball back and forth, or do yard work. If you don’t have a kiddy pool, set up the sprinklers. Your kids will enjoy running through the sprinklers and cooling off. Another fun game is Mother May I. Have your children ask you questions starting with “mother may I” in attempt to make it across the year to reach you. You decide if they can do what they ask and if you do not approve you spray them. Whoever reaches you first wins. For example, your child would ask “mother may I take three large steps?” If you child is close to you and you want to keep the game going say “you may not” and spray them. They have to go back to the starting line and restart their journey to you. Go to the dollar store and buy water balloons and mini water guns to play with. You children will love having a water balloon fight and enjoy setting up a surprise to get their dad with the water guns when he gets home from work. These are simple yet fun toys that your kids will play with for hours! Some days are just too hot to venture outside. These are the days that it is okay to stay in and have fun in your cool home. There are many activities that your children will love while staying inside! Build a fort. This is always a fun and entertaining activity for children. Use pillows, sheets, chairs, and any other furniture necessary to make a fort that becomes a castle in the eyes of your child. This is a special thing to do with your children, they will have a blast “making a mess” with you and hanging out in a top secret fort all day will be a special moment for you and your children. Watch movies, play games, read book, or even take a nap in this fort. This will be a fun place to hang out while taking a break from the hot summer sun, so it may be worth keeping this fort up all summer long! Play dress up. 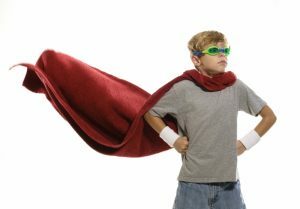 Find old dress up clothes or use whatever you can find to help your children become someone else. Maybe they want to be a princess, a dinosaur, an astronaut, or even a mom, help them become someone else for the day, and join them while you are at it! Play in these fun new outfits and enjoy a day of pretend play! Spend time reading, giving yourself a chance to relax and helping your child develop their reading and language skills. This is a great thing to do before nap time, allowing your children to wind down from the time spent playing outside. Movies are also a great way to get your kids to relax and allow you to have time to clean or spend some quiet time in another room. Getting creative and spending time on different art projects can help develop your child’s creativity, help pass some time, and allow you to create something beautiful together. 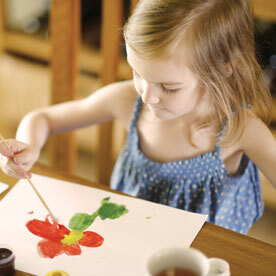 Whether you are inside or out, you can add art to your day to get the creative juices flowing and have fun doing it! If you decide to spend the day outside, get sidewalk chalk to entertain your children. Ask them to draw you certain things, trace their bodies and have them draw in a face and clothing and decorate themselves, or just color an entire section of sidewalk. They will love that you are getting involved in their art project as well and stay interested in it. Have a drawing contest to see who is the most creative. You can do anything with chalk, so as stated before, let those creative juices flow! Painting, coloring in a coloring book, making music, and making a puppet show are also great ways to get creative and spend time together. Some children love painting and coloring, but others prefer different types of art—such as making music or putting on a play. Let your child choose what they want to do and join them! Find your old karaoke machine and sing with your little ones. Make a play to perform to your other family members later in the day, or paint pictures and hang them all around your home. Have you child make up a story and write it down for them, then have them illustrate the book and read it to them later that night. It will be fun for your child to see their own artwork and hear their own story all in one book! They will feel special for having made their very own book! Many people joke about being able to use their children for chores, and while we aren’t telling you to get them to clean the home while you relax, you can definitely get important things done while spending time with them. Work in your garden with your children. Have them help you pick out different flower to plant and have them help you plant them. They will love being part of something that is important to you and they will love checking on their flowers day after day, making sure they are growing. Not only can you get yard work done but you can teach them how to garden and take care of something other than themselves. Another task that children love helping with is washing cars. Maybe it is the suds in the water, the giant sponges that soak up water better than anything they have ever seen, or maybe it is because they feel special helping with such an important task. Either way, washing you car together will allow you to get a clean and shiny car and allow you child to have fun and feel like they are doing something super important. Plus, this could always turn into a fun water fight and allow you to cool off in the hot sun! These are a few of many different ideas for spending time at home with your children. 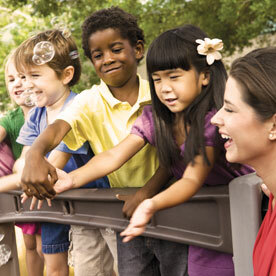 But as the summer comes to an end, make sure you select the right child care center for you child! 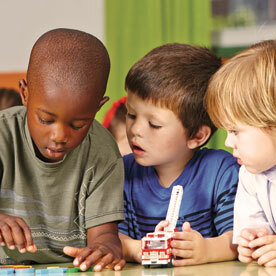 Inch By Inch Child Care can help your kids get a jumpstart on their education and development! Schedule a tour today!